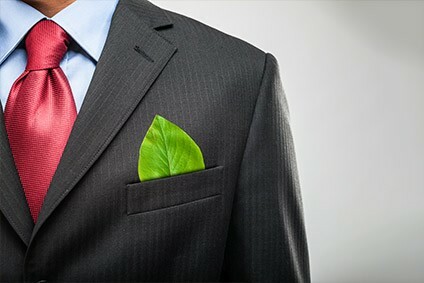 With a "staggering" 73% of materials used for clothing sent to landfill or incinerated, and less than 1% of the fibres recycled, Ecopreneur, the European Sustainable Business Federation, is calling for decisive policy measures to create a framework to foster the move to a circular fashion economy. A non-profit non-governmental organisation under Belgian law, Ecopreneur's goal is to strengthen the voice of sustainable business in Brussels. The group brings together five associations from EU member states that between them represent more than 3,000 businesses delivering sustainable products and services. Its latest report, 'Circular Fashion Advocacy: A Strategy Towards a Circular Fashion Industry In Europe,' explores how the current system for producing, distributing and using clothing cannot be sustained. In its current, mostly linear way, the sector follows the take-make-waste model, with large amounts of non-renewable resources extracted to produce clothes that are often used for only a short time, after which they are discarded – otherwise known as 'fast fashion'. Meanwhile, in addition to environmental issues, Ecopreneur says the industry is facing a number of social challenges such as poor working conditions, poverty, exploitation, abuse and gender inequality. "The fashion industry therefore needs to move away from a 'linear' model towards a 'circular' one," the report says. "In a 'circular' or 'flow' fashion economy, clothes, textiles, and fibres are kept at their highest value during use and re-enter the economy to avoid becoming waste. "The fashion industry is increasingly committed to a circular model, but is only at the beginning of a journey to create a more ethical and sustainable future for fashion." The publication, which is funded by C&A Foundation, comes against the backdrop of the UK government's enquiry into fast fashion and focuses on the role that advocacy can play in realising a circular fashion economy. In a circular fashion economy, products and materials flow through a closed loop system by way of repair and maintenance, sharing and rental, re-use of materials and products, collection after use, separation, sorting, industrial processing, design and upcycling, and recycling into fashion products or into other industries (or from other industries). The system only uses safe material inputs, regenerates ecosystems and does not pollute the environment; processes run on renewable resources and energy, and recycled materials streams are clean. Competition from cheap, low-quality products is eliminated. To realise a circular fashion economy, however, there are certain systemic issues that need to be addressed. "A trend is needed to move away from business models based on product sales at lowest price only to service models based on true pricing and performance," report authors say. "Furthermore, countries need to create and enforce governance and legislation geared towards circular fashion. In other words, a system which ensures transparency, taxes resources, externalities and energy more heavily and labour less, sets up minimum requirements for fashion products on the market and bans those that do not meet them." Innovation policies – research programmes with subsidies, investment tax deduction, and support for technological development, innovation and small and medium-sized enterprises. Economic incentives – procurement, extended producer responsibility, VAT, and a tax shift to drive market demand for circular products and services. Regulation – establishing and enforcing a common regulatory framework for transparency and traceability, circular design and improved end-of-waste status across the EU. Trade policies – facilitating export of semi-finished products and sorted, reusable textile waste to producing countries, and avoiding negative social impacts in producing countries. Voluntary actions – covenants, commitments and standards are encouraged to engage stakeholders, with legislation standing by in case of lacking results. "Governmental policies create the rules by which companies and economies operate. Without an enabling policy framework, circular economy will never become mainstream," explains Douwe Jan Joustra, head of circular transformation at C&A Foundation. "The intention of this report is to offer other organisations and the industry a baseline of policies from which to build on. "With the support of C&A Foundation, Ecopreneur is also working to increase its cooperation with NGOs and other stakeholders, expand its European business network and support the fashion industry in creating a European circular economy policy strategy." Manfred Mühlberger, president of Ecopreneur, adds: "Ecopreneur recommends to further develop the optimal policy mix into a detailed strategy for the sector's advocacy and communicate the messages and actions listed in this report in a concerted action. We, therefore, call on the fashion industry to jointly work on this circular fashion advocacy agenda." Click here to read just-style's interview with Douwe Jan Joustra? and here to access the full Ecopreneur report.